Colorado has the highest mean elevation of any state in the United States. It’s home to 58 mountain peaks higher than 14,000 feet—more than any other state in the U.S—making it a mountain sports mecca. “Bagging” these fourteeners is a goal for many Coloradans and visitors to the state—and for some, it’s an obsession. 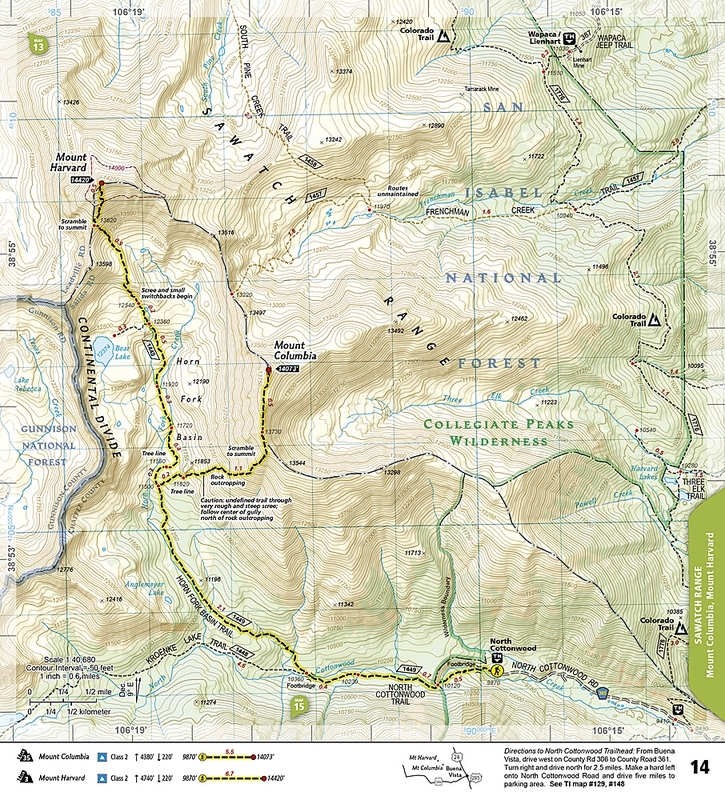 The Colorado 14ers North Topographic Map Guide provides the most accurate and convenient set of maps for the fourteeners of the Front, Mosquito, Tenmile, and Sawatch ranges of northern Colorado. Almost half of Colorado’s fourteeners fall in these ranges, but their proximity to large population centers leave no shortage of hikers on their slopes. 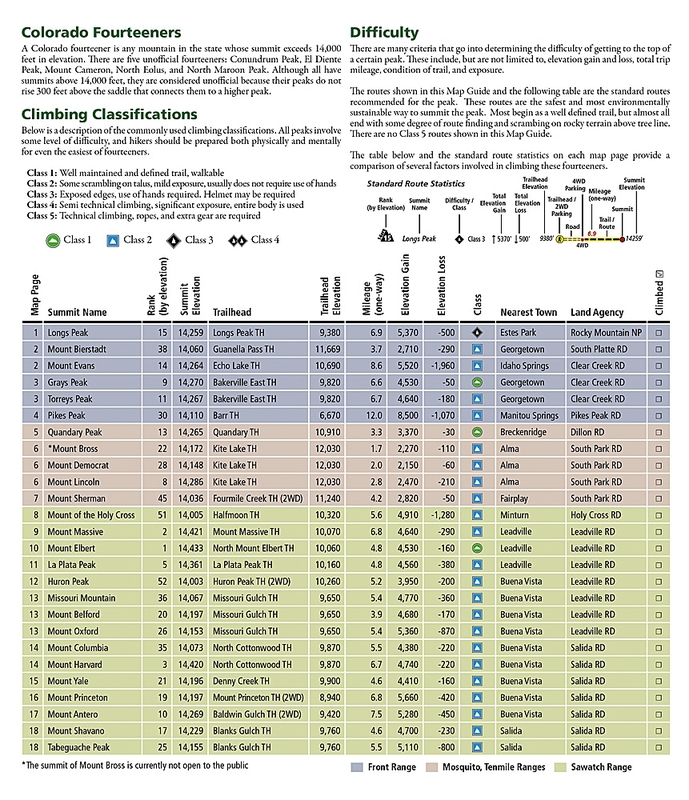 Moderate ridges, established trails, and accessible trailheads are the norm on the standard routes, making many of these peaks relatively easy to climb. However, it's important to note that these seemingly gentle giants also have their rugged side—including the north face of Mount Evans, the amphitheater north of Mount Democrat, Ellingwood Ridge on La Plata Peak, and the sheer east face of Longs Peak—placing them among the most challenging alpine experiences in the United States.